Look: Pours opaque. Black like the night, the coffee added to the beer contributing to dense absence of light penetrating. Plump, billowing mocha colored foam tops the pour. Retention is average with minimal foam lasting to the end. As it recedes it give a sense of a creamy milkshake. Inviting. Lacing is thick and coating but amazingly recedes back quickly. Aroma: Roast and coffee greet the nose quickly, even when the nose is not completely entrenched over the top of pint. Caramel and chocolate are light, coming about more as the beer warms. Taste: Roast and coffee race up and down the sense. The coffee lingers in the finish with a late splash of bitterness. Chocolate and caramel are in the middle to give balance and complexity. Drinkability: Medium body. Light carbonation. 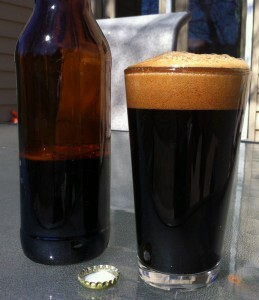 The low ABV sets the table to make this an easy to drink stout. Overall: A solid offering. Good complexity in “smaller” stout from the varying ingredients. The coffee is a solid addition without muddying the overall beer. Would brew again with a touch more chocolate. The coffee seems to be fading a bit quickly as I have tasted this several times before doing the official review. 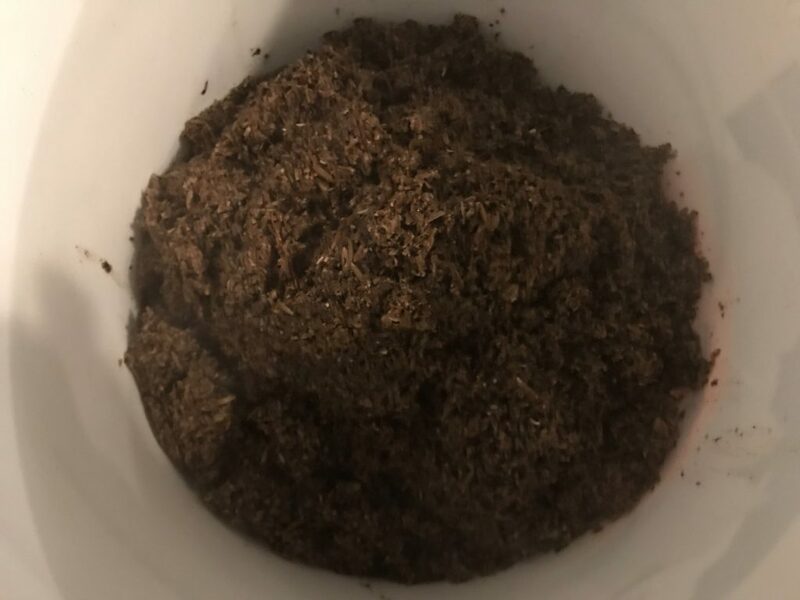 This write-up is about two months post brew day. Not a long time. It hasn’t oxidized yet. I will have to determine the reason and try again. Enjoy! Useless fact: The Guinness Book of Records holds the record for being the book most often stolen from public libraries.